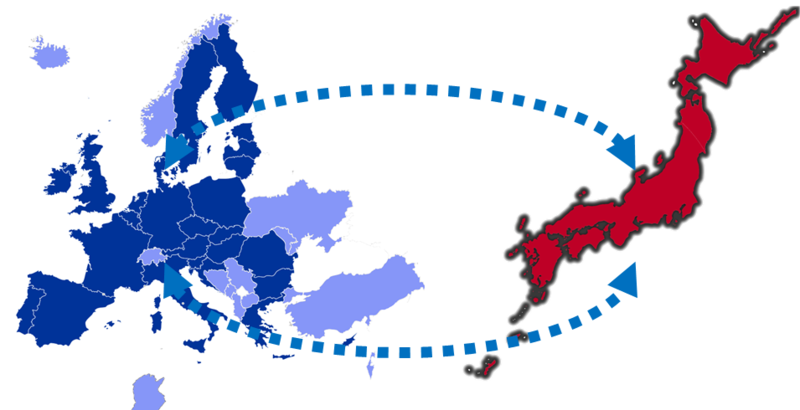 EURAXESS Japan links researchers in Japan with Europe. Free information and events on research funding, research careers, mobility and collaboration opportunities. 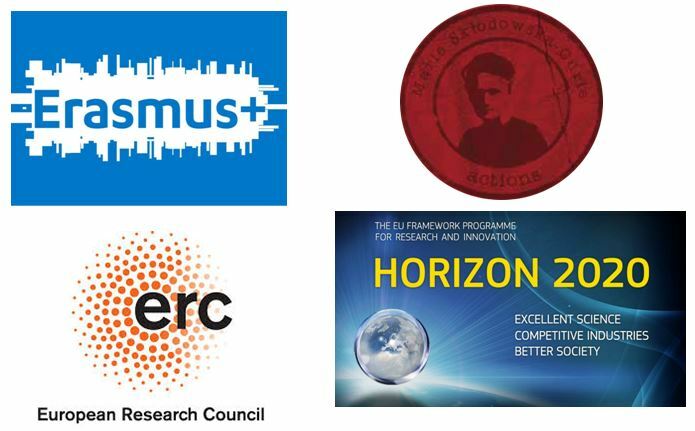 EURAXESS Japan has been serving researchers in all fields interested in collaborating with or pursuing a research career in Europe since 2008. Boost your career with our training week, 10-13 June: Grants writing, science communication & more ! Book your week of 10 June -- train yourself to write grants, to improve your science communication skills, and try yourself at a scicom contest! Louise received her Master’s degree in Chemistry from the University of Oxford. Following this she undertook a DPhil working on proteins involved in the epigenetic response. She now works as a MSCA GF in the laboratory of Professor Hiroaki Suga at the University of Tokyo. Dr. Fumikazu Furumi is a JSPS postdoctoral researcher at the Graduate School of Human Development and Environment, Kobe University, Japan. He was hosted by the INTERACT ERC project team headed by Dr. Antonia Felicity De Courcy Hamilton at the University College London, UK. Eri Sakata is a project group leader at Max Planck Institute of Biochemistry (Germany). She received her Ph.D from Nagoya City University and carried out a joint postdoc at Max Planck Institute of Biochemistry and at Tokyo Metropolitan Institute of Medical Science (Japan). 'I was a postdoc in CEA-Grenoble (France) for two years from 2000, and then went back to Japan to get an academic position. Idecided to return to France in 2007, as a researcher. 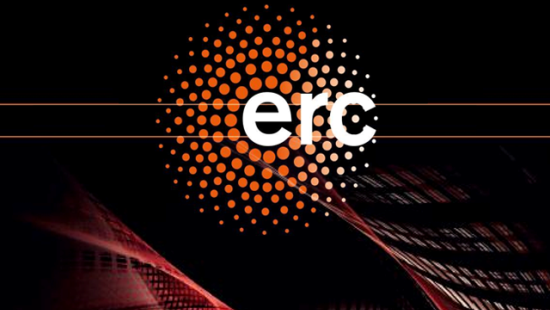 I first tried to obtain an ERC grant but failed.But I tried again two years later, and succeeded. My ERC project started in 2010. Isabelle Vea obtained her Ph.D in Comparative Biology in 2009 at the American Museum of Natural History, New York City. She was a postdoctoral fellow for three years in the School of Bio-Agricultural Sciences at Nagoya University before starting her MSCA Individual Fellowship at the University of Edinburgh in January 2017. Browse our database and create personalised alerts for funding: hundreds of support schemes for research cooperation and mobility between Japan and Europe are available! Through our job portal, find the job offer to continue your career in research! Find more about European scientific and innovation cooperation between Europe and Japan. Enter the EURAXESS community, find collaborators (researchers) and browse for member institutions for potential collaboration/hosting! 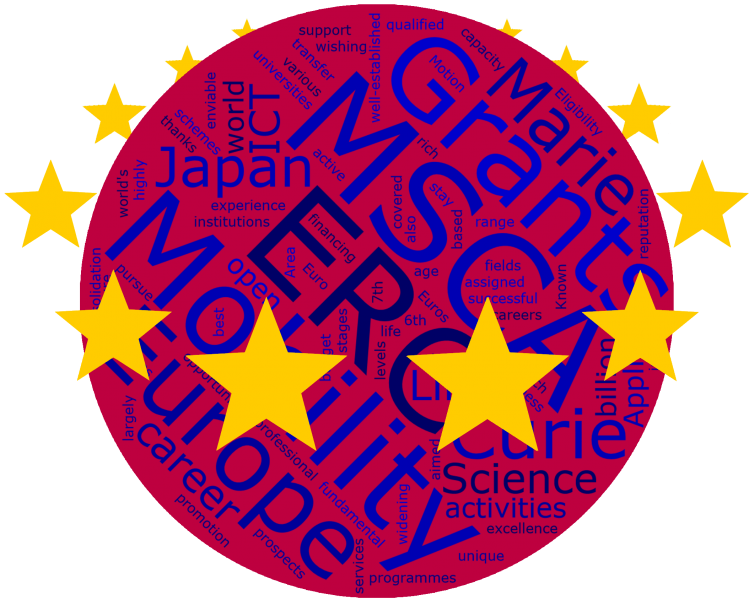 There are numerous opportunities for mobility and research collaboration between Europe and Japan, we've summarised them in a Funding Guide for you; we also have a database which you can use for personalised searches! For individual researchers: find the position you always wanted, through our offer database of research-related jobs in Europe. For research institutions: advertise your offers on our portal, the most important one in Europe! This service allows EURAXESS Japan community members to make grant proposal drafts available for reviewing by other researchers, members of the community, in identical or similar research fields. - To support networking between researchers and institutions in our community and beyond. To this effect, we provide you with various tools for information, and hold specific, regular events, which are information and networking platforms for researchers. Stay up to date with our EURAXESS Japan Newsletter. Read our country briefings, hot topics, in focus interviews on research and innovation. Receive information related to research mobility, cooperation, funding, jobs, and more. Browse old issues or read the most recent ones! Our Funding Guide is a document where you will find, classified by country, funding schemes for mobility and cooperation projects between Europe and Japan. In a short, bullet-point like style, it introduces more than 300 different schemes! Reports on EU policy subjects, Proceedings of our events, as well as brochures on EURAXESS or EU schemes for research funding and mobiity, find what you need here! At this event, Japanese and European researchers based in Japan may learn, in details, about the Marie Sklodowska-Curie and European Research Council grants. 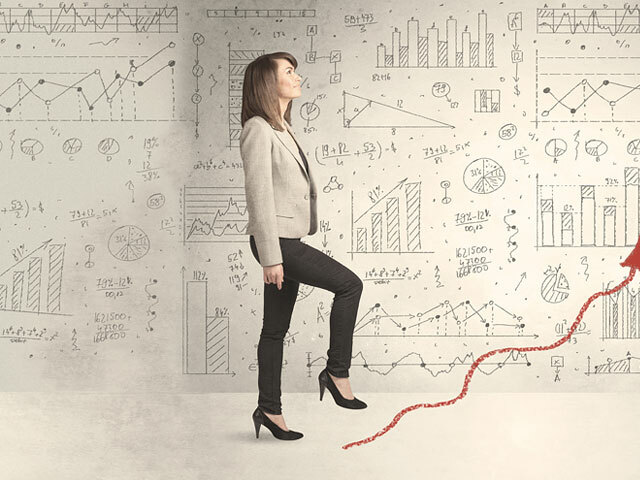 Experts, grantees and alumni provide thorough descriptions of the grants and their evaluation procedures, experience feedback and tips for success. The "European Research Day" is an event where the European researchers based in Japan and researchers interested in Europe exchange and discuss about their research projects and professional and personal experience in Japan and network in order to advance in their careers. The "EURAXESS Japan Tour" are information sessions held within universities or research institutions in order to directly reach researchers and students, and provide them with the whole range of information they need about funding for research cooperation or mobility to Europe. EURAXESS Japan organises, co-organises and encourages initiatives for open science such as science communication events. Generally, our science communication events are open to all disciplines, including social sciences and humanities; and welcome all career levels and nationalities. "European Innovation Day' event series explore the wealth and variety of opportunities offered by Europe, through its numerous countries, for innovative initiatives, innovators, startups, SMES, industry and investors. 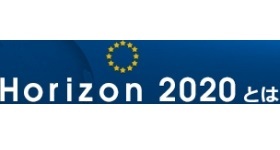 Find out more about Horizon 2020, the biggest EU funding programme for research and innovation! Keep yourself informed about current research collaboration between Europe and Japan. The relationship between the EU and Japan is increasingly close and diversified. Starting 30 years ago, from various bilateral and multilateral level cooperation agreements, to a current overarching Science and Technology Cooperation Agreement which pledges to encourage, develop and facilitate cooperative activities, in the form for example of a Joint VIsion, released in 2015. Underway collaborations are encompassing the felds of ICTs, Aeronautics, and Materials. Below find a list of useful websites regarding European countries’ collaboration with Japan– information about embassies and related S&T offices in Japan, national EURAXESS websites for mobile researchers as well as Japanese-European joint research structures. You may also find a list of the national researchers associations that are based or existing in Japan. + (example) OeAD office / contact for Japan = ? Sciencescope is a French organization of researchers and students in Japan. The main objective of Sciencescope is to reinforce relationships and promote research discussions between the French-speaking research community in Japan from any field or citizenship (researchers, engineers, students). To this end, Sciencescope shares information about research in Japan through its website, online Social Networks or Mailing List. It also provides practical information for daily life in Japan (grant, job opportunities, internships, research events, etc.). in Japan on a temporary or permanent basis. In addition, several Japanese universities with offices in Europe are institutional members of the JSPS Club. There is no limitation to any nationality: German speaking researchers and scientists, even Japanese, are much welcome. Although the association is called JSPS Club, membership is not restricted to former scholars of JSPS. As of Jan. 1st 2017: membership fees are of EUR 60 a year for ordinary members, half-price for unemployed scientists and those still working on their doctor thesis and 300 Euro for supporting institutions. Informal group of Italian citizens, either currently or previously active in Japan. Activities include information sharing and gatherings. Membership opens the door to a number of opportunities – job requests, invitations, updates on what is happening in Norway and in Japan, academic projects and tenures, along with the chance to attend both formal and informal events in both Japan and Norway. The NorAlumni Japan network is open for everybody with a connection to Norway and Japan, and membership is completely free of charge. NorAlumni Japan is maintained cooperatively by the Research Council of Norway and Innovation Norway, with the support of the Norwegian embassy, the Norwegian Centre for International Cooperation in Education, Abelia, and Norwegian Chamber of Commerce in Japan. ACE Japón aims to represent and give voice to the Spanish researchers community, providing support to its members in different ways through fostering academic networking to facilitate their integration in Japan; acting as mediators to increase and strengthen collaboration between organizations related to R&D in Japan and in Spain; disseminating our achievements, at an individual level as well as promoting the potential of Spanish scientists; increasing social perception of science and technology; and approaching society by organizing activities of interest to both parties. ACE Japón accepts members who are Spanish citizens, involved in academic /research activities and based in Japan. Membership costs JPY 2000 for PhD students and JPY 4000 for post-doctoral and senior researchers. 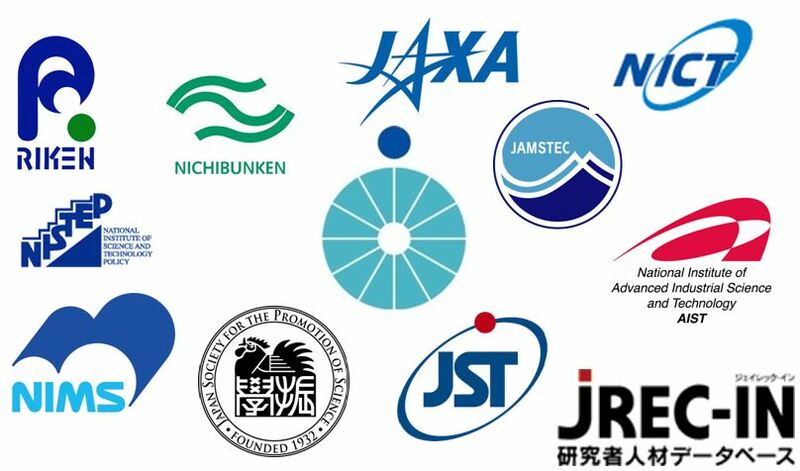 The FP7 project JEUPISTE and the Japanese representation of the global network of Horizon 2020 National Contact Points (NCP) provide support to individual researchers and research institutions who are interested in building Horizon 2020 projects with at least a Japanese partner. For information on all the latest developments shaping EU-Japan relations. Project to support Japanese participation in FP7. The European Commission Directorate for science, research and development. Framework Program 7 call information and research news. The magazine of the European research area. European funding body to support investigator-driven frontier research. Each of the main Japanese research institutes have an active recruitment policy for international researchers, and thus offer numerous positions (usually âon-project”) advertised in English in the following links. For better insight into the full recruitment campaigns, please check the Japanese version of their website. Each of the main Japanese universities are very proactive in the recruitment of international staff. These universities often offer a number of positions (postdoctoral, project-based, tenure-track) advertised in English through the following links. The World Premier International Research Centre Initiative (WPI) was launched in 2007 by the Ministry of Education, Culture, Sports, Science and Technology (MEXT) to build research centres which boast a very high research standard and outstanding research environment. These centres are given a high degree of autonomy, allowing them to innovate compared to conventional modes of research operation and administration in Japan. Each centre advertises for various temporary and permanent positions. Our community has more than 3000 researchers, managers and students who are interested in Europe-Japan collaboration or mobility. Contact us for more information or for announcements to the community! Do not hesitate to contact us to discuss your project, to organize a presentation or an event at your organisation or any other need for support from EURAXESS. 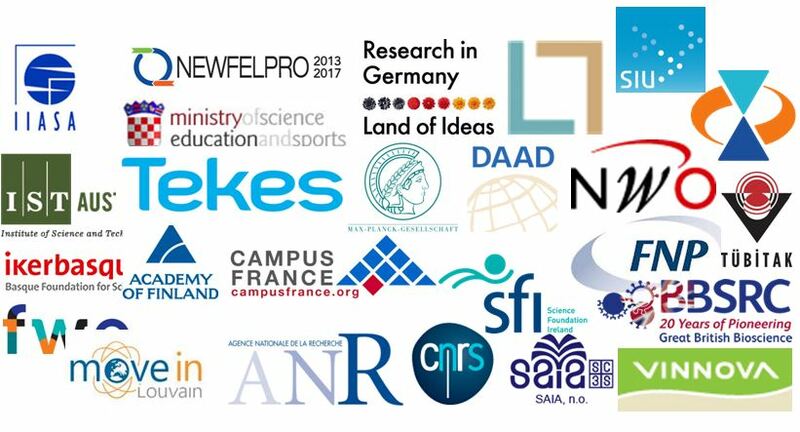 We wish to improve the exchanges between Europe (European Research Area, 43 countries -EU28 and 15 associated countries!) and Japan for research, both quantitatively and qualitatively. 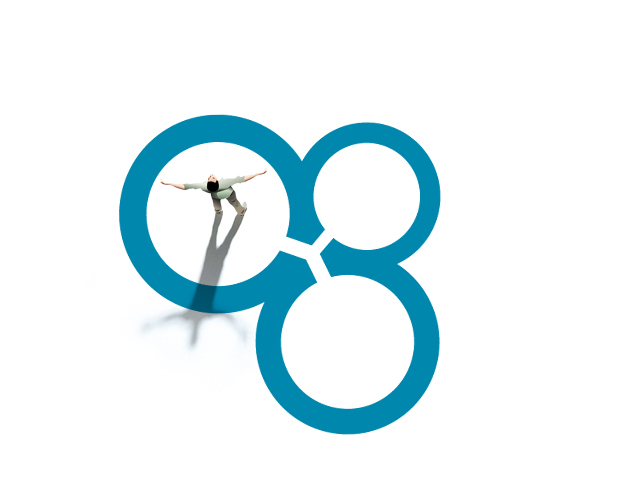 We will support your projects of research cooperation or mobility as much as we can. Remember: we cover all disciplines and research fields, all levels of seniority (from PhD student to professor), and we do not look at nationalities. If you have questions or cannot find what you are looking for on our website, please contact us. We provide through on-line content, newsletters, Flashnotes to our community and many other media, information on the hundreds of funding schemes and opportunities for cooperation between Europe and Japan. Explore our website for a full overview! We organise up to 4 events per year in Japan (with at least one outside of Tokyo). Our events are networking and information platform, for all those -researchers, students, administrators- who are interested in Europe-Japan exchanges. We also organise, co-organise or participate to more than 10 events, seminars, or information sessions per year, organised directly at Higher Education or Research institutions in Japan. Explore the variety of our events and information sessions through the PUBLICATIONS AND EVENTS tab! If you or your institution is interested in hosting a EURAXESS Seminar, or if you wish to invite us for an information session, please contact us! The EURAXESS Japan community is a group of more than 3000 researchers, students, administrators, managers and International Relation professionals. - Regularly receive exclusive information from us (Flashnotes). In this case, please contact us! We are looking forward to hearing from you! JEUPISTE (Japan-EU Partnership in Innovation, Science and Technology, FP7 grant agreement no 609585) is an EU funded project for the promotion, enhancement and development of Europe-Japan cooperation in Science, Technology and Innovation (STI). The project is supporting the EU-Japan STI policy dialogues through data collection and analytical reports. It also organises workshops and information days to promote cooperation programmes such as Horizon 2020 and facilitates partnership building through thematic events. 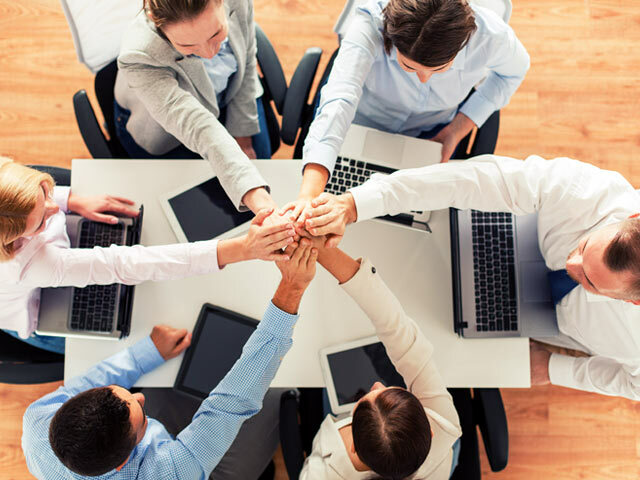 The project furthermore addresses the individual needs of researchers and research organisations by implementing training seminars on Horizon 2020 project management and operates a help desk where any kind of inquiry related to EU-Japan STI cooperation can be addressed. EU-Japan Centre for Industrial Cooperation was formally appointed as NCP in November 2013 with governmental funding. Its main tasks are to disseminate information on the Horizon 2020 programme in Japanese via its portal and handouts, such as an overview of the programme, call information, reference documents and success stories. The NCP also promotes participation to Horizon 2020 through dissemination seminars and public events such as exhibitions and trade fairs. The main target of the service are researchers and industry within Japan. 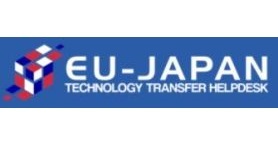 The EU-Japan Technology Transfer Helpdesk aims at being a reference for those who are interested in searching for available technologies from both Japan and the EU, as well as becoming a useful source in technology-transfer related provisions and practice. 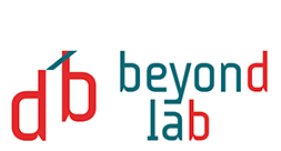 BeyondLab is a non-profit organization aiming at making accessible science knowledge and science know-how to solve big issues of our society by empowering people. Basically, with a network of local teams, we organize workshops where ideas, skills and projects are highlighted. The BeyondLab community is based on innovation ecosystems where local teams are able to find labtech projects and interesting profiles. To date, BeyondLab brought together more than 1200 persons around 100 tech projects. 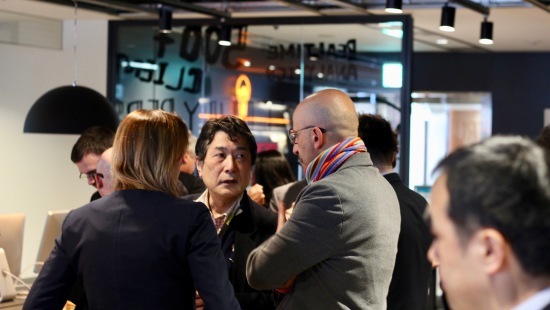 BeyondLab recently launched a Japan/Tokyo branch in order to build a strong link between French/European and Japanese ecosystems. Inspired by this world-changing event on 9 November 1989, the question of every Falling Walls gathering is: Which walls will fall next? Falling Walls fosters discussion on research and innovation and promotes the latest scientific findings among a broad audience from all parts of society. Nerd Nite is “the Discovery Channel with beer”, a worldwide monthly event series that mixes presentations, performances, trivia, demos, music, and of course drinking. If you are interested in presenting or volunteering, contact the organisers! You do not have to be a (science) presentation pro! 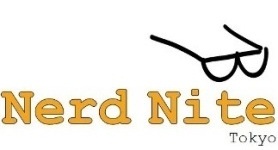 Anyone — scientists, engineers, artists, makers, hackers, science fans or storytellers — can give a talk at Nerd Nite about their own projects or just anything they find cool. Past speakers include a medieval sword expert, artificial intelligence researchers, a hackerspace guru and a nuclear physicist. 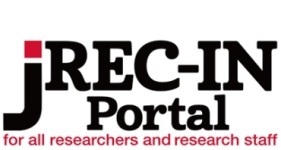 JREC-IN Portal is an informative portal developend by the JST (Japanese funding agency) that supports the career development and skills building of researchers, research assistants, technicians and other research-related human resources. This website contains a database of information on applicants searching for research jobs and job postings for research and education positions in industry, academia and the public sector in Japan and abroad. Both applicants and recruiting institutions can browse and search online for postings or individuals that meet their needs. 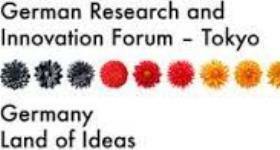 The German Research and Innovation Forum Tokyo (DWIH Tokyo) acts as an umbrella for German scientific and research interests in Japan. Its aim is to present German research organisations and innovative companies in a concerted effort, thereby strengthening scientific and economic cooperation with Japanese partners.